Agents of the New Order are celebrated for their innovation and adaptability. But did you know that bot-aspirant carebears are capable of evolving, too? It happens so slowly, though, that it's difficult to detect. Ronin Woman was addicted to bling. She didn't invest much time or thought in her Mackinaw fits; she simply wanted to spend a bunch of money. 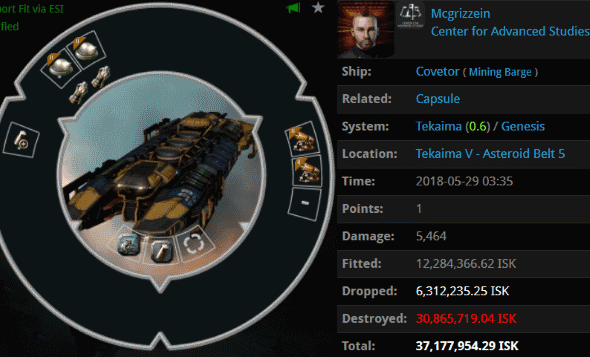 Months ago, Agent Guybertini ganked Ronin's billion isk Mackinaw. 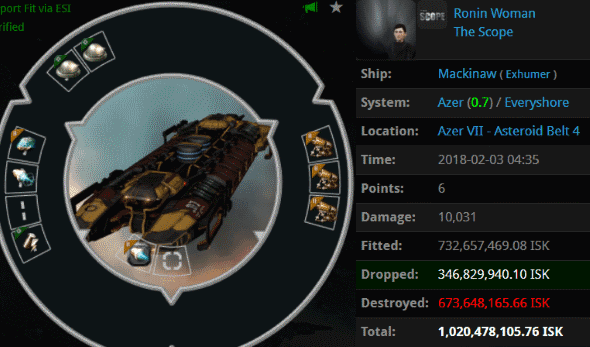 Ronin adopted the new bot-aspirant meta of using Orcas to mine with blingy drones. A single set of Harvester Mining Drones can cost 2 billion isk. As Agent Bounty Bumper demonstrated, these drones can be disconnected from their host and confiscated. Though capturing the drones--liberating them, really--doesn't generate a killmail, it deals a solid blow for the Code. Bounty Bumper enjoys scooping miners' blingy drones, but due to our Agents' commitment to law and Order, miners have been discouraged from using them. That means it's back to ganking miners. Bounty and friends ganked a miner from the Center for Advanced Studies NPC corp. As a member of the corp himself, Bounty felt a special responsibility to teach a fellow member. 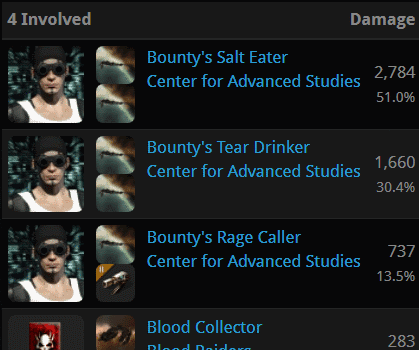 Agent Bounty took a look at the Center for Advanced Studies channel and noticed, by sheer coincidence, that a member who was speaking in the chat was also present in local. Teh Burninator was a true veteran, with nearly a decade in the corp. So what was he doing in highsec with Bounty Bumper? 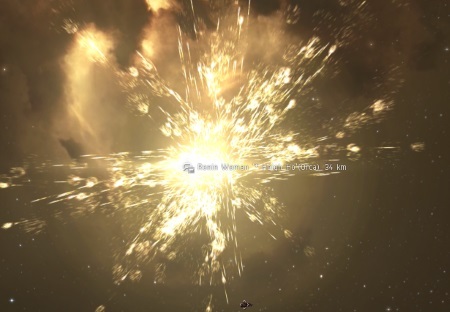 To his amazement, Bounty saw that Teh Burninator was using a flight of 'Augmented' Mining Drones worth a quarter billion isk. It was kismet! The Center for Advanced Studies corp chat lit up with activity. If there were any actual newbies in the channel, I hope they were paying attention. If Teh Burninator was hoping for sympathy from his fellow CAS members, he was surely disappointed. The other players in the channel discussed the incident with cold, intellectual detachment. They treated Teh Burninator's personal tragedy as an academic exercise. Even after so many years, it seemed CAS still had something to teach Teh Burninator. Good fight! Bling drones should always be confiscated or destroyed. And if you can't get an @zero warp-in, this Cormorant works great up to about 30km. I used it on a deadspace miner just today. Watch out for those Augmented Ice drones though, those are seriously tanky. Or if a talos is not good enough to gank a mackinaw, use your machariel with t2 hammerheads. "They treated Teh Burninator's personal tragedy as an academic exercise." I imagined them all in lab coats surrounding a table of miner scraps looking down on a tiny crying carebear. That is an accurate description of why I read minerbumping every day. Is this some kind of weird roleplay? Yes, yes it is, but weird is a bit harsh. You don't belong here ghetto queen. We pay for our subs and help EVE survive, you are just a societal leech with daddy issues. Sicko. Pick an avatar and stick with it pajedas, don't be a shitter. meow hiss phhhffffttt! Relax kitty, relax! Not anon 1232, but that's kinda hawt. "an isk/year ratio of about 2.2 million"
Surely mining in an orca with drones is much less productive than using an Exhumer? 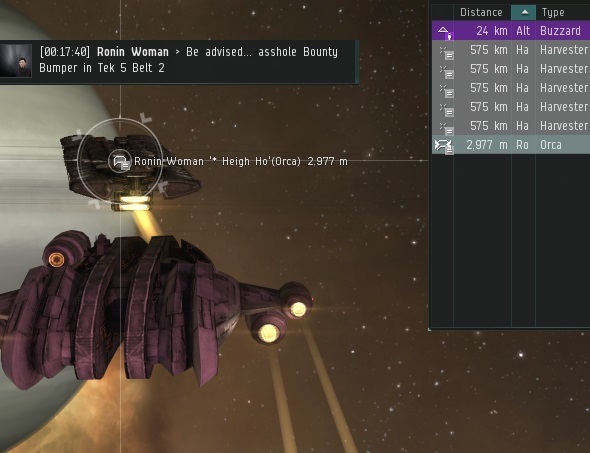 It's the ship of choice for bot-aspirants that seek to minimize interaction with the game client and maximize AFK time. They want to feel that they are accumulating ISK. No matter how little, no matter how slowly. They want that accumulation to be as risk-free and as low-effort as possible. Well they are idiots then, and deserve every gank they get. Kick the crap outa them until they learn not to be so ignorant. This is all he has going for him so it doesn't take up much time. Yeah wolf should be committed. Lol he made you shitters cry! You should biomass. Don't forget shardani. Maybe I don't understand (mining?) drone mechanics correctly... but how can you ever bump someone out of control range? Wouldn't recalling the drones just be enough to save them (assuming you cannot bump a ship faster then the drone speed)? You just answered your own question idiot. I've seen your forum posts, you need to relax. You are trying too hard.